The guitar ninjas outdid themselves in this one. 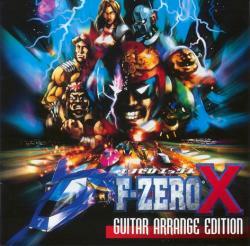 While F-Zero X (N64, 1999) had an awesome soundtrack, it was even better on the F-Zero X Guitar Arrange Edition album took those midi guitars and sequenced audio and breathed the God of Rock into it. 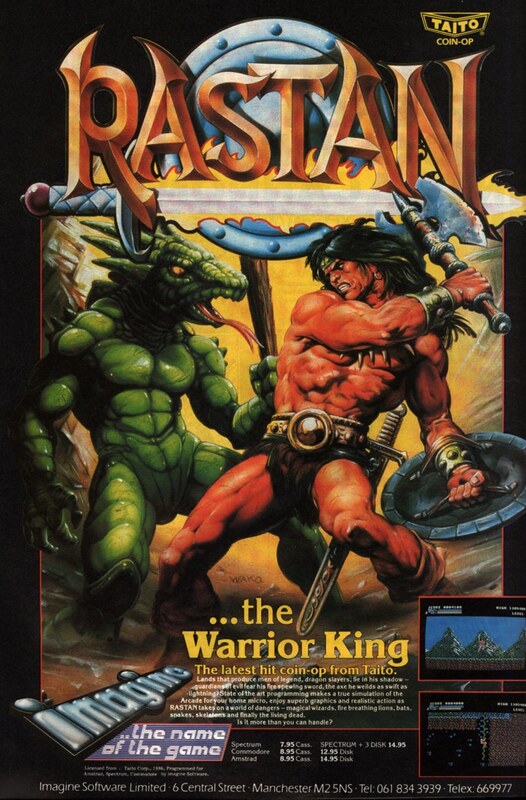 This is one of my all-time favorite vgm albums, and the “Title BGM” is my favorite track off of it. I just they’d reprint it, as with most of the legendary albums, this one goes for over $100 on e-bay. The “Title BGM” is almost a straight-up rock cover of the original title theme, only with a lot more flourishes and variation. It has an incredibly wide range of notes, nearly going off the guitar scale at one point, and it perfectly captures the feel of mach speed loops on the track, fast machines, dancing girls, and huge crowds. This is the carnival and spectacle behind the races, and it’s a sort of introduction to all the racers and their vehicles, just to let you know how badass they are. There’s all kind of energy and a whole can of cool pumped into this one from the very first guitar riff to the final fade, so make sure you don’t miss it! “Title BGM” was originally composed by Taro Bando (Legend of Zelda: The Wind Waker, Wii Sports) and is arranged by Ryuichi Katsumata (Legend of Zelda: Ocarina of Time Hyrule Symphony, Angelique). It features Nozomi Furukawa on guitar and Hideki Matsubara on bass. Overall, a rockin’ band. So my friend asks me today if I’d done “Big Blue” yet. Well, I’m only about three weeks into this experiment, so there’s bound to be a few classic tunes to add. Heck, maybe I’ll start working on those this week, and “Big Blue” is a pretty good place to begin. “Big Blue” is one of the best-recognized game tracks. It appears in practically every F-Zero game out there over a giant pipe race course hanging over the ocean. The F-Zero games are all about speed, with some racers easily breaking 1000kph. “Big Blue” captures that feel perfectly as well as the sense of boosting above the ocean at high speeds – perhaps a bit too much speed and pipe loops, as the second half of the this version feels a little gut-wrenching with all the synths. The best rendition of this song has to be Hirokazu Ando‘s (Kirby Superstar, Kirby 64) version from Super Smash Bros. Melee (Gamecube, 2002). In F-Zero X (1998), the track was renamed “Decide in the Eyes.” F-Zero GX has a great guitar cover of this as well, but it’s a little slower paced, even if it has a great grunge feel to it. Actually, the original version of this song, being a first-gen SNES title, F-Zero (1990), Read the rest of this entry ?